The Virgin Mary in the painting of Our Lady of Guadalupe adorns one side of this free, printable church holy card. 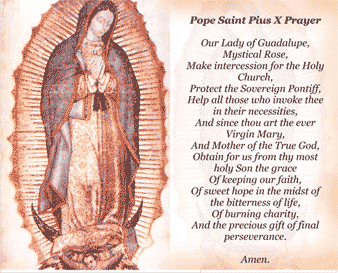 The prayer to Pope St. Pius X makes this a great insert for weddings and funerals. And the precious gift of final perseverance.